Yesterday as I was riding back to our Downtown office from a site visit at the Metropolitan Building, I noticed that this small building on Olive Street was being demolished. 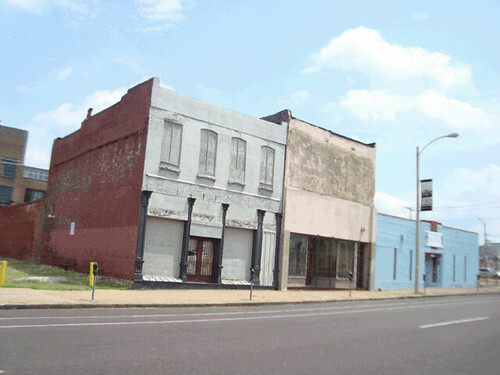 At first glance, the building looks pretty tired, but with an intact cast iron storefront, and brick above that could easily be stripped, it is easy to see a lot of potential in this little building. The building was part of a lonely row of three buildings (now two) between sitting between a gravel parking lot and a vacant lot on the the block bounded by Garrison and Cardinal a few blocks east of Compton. This section of Olive looking east is almost devoid of life with more vacant lots east of Garrison and nothing but vacant land and a parking lot on the south side of Olive, which is still grasping for identity fifty years after the urban renewal clearance of Mill Creek Valley. To the west the area is also isolated, but just east of a block of Olive between Compton and Cardinal that has seen an amazing comeback in the last 10 years as part of the Midtown Alley district. The building is being demolished by its owner the St. Louis Treasurer's office, which is apparently combining the parcel with the gravel lot next door to build a 72 car parking lot. 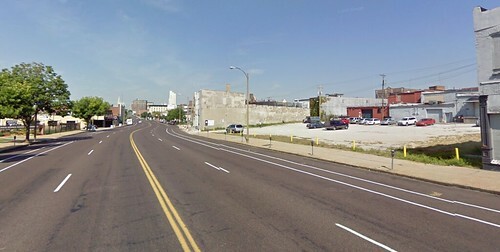 With a parking lot directly across the street owned by SLU and abundance of street parking all around, I'm finding it very difficult to see why they needed tear down a decent building with great redevelopment potential another 25 feet of asphalt? The 28 Mayor System strikes again! As NextSTL reported last week, 17th Ward Alderman Joe Roddy and the Grove Community Improvement District sold out the eastern entrance to the neighborhood in return for $40,000 per year. How is this allowed to happen? Because the System is set up to allow Aldermen to obtain zoning variances at their whim with no regard for what is good for a neighborhood or good for the City. 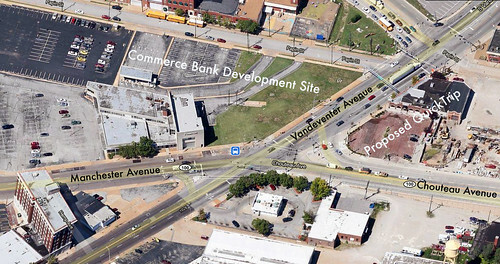 While development may be years away due to the economy, the Commerce Bank site directly across Vandeventer would be a much less desirable location if a proposed QuickTrip is built. The Grove has come a long way from the former Manchester strip of abandoned storefronts. 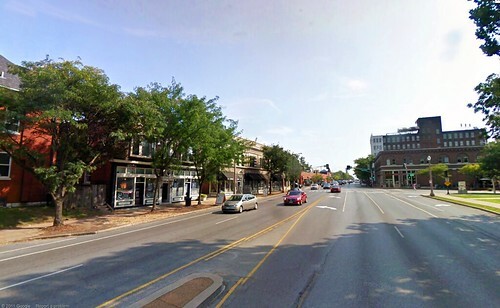 With a critical mass of restaurants, bars, services, an emerging retail scene and, as NextSTL mentioned, even a tattoo shop, which is proof that people are now starting to hang out in the Grove instead of just heading to a few bars or a restaurant. What the Grove does not necessarily need is a giant gas station/convenient store replacing an existing restaurant in a unique eclectic building as an anchor at the east end of the district, no less at the hands of the CID which should be protecting the district from this very type of activity. 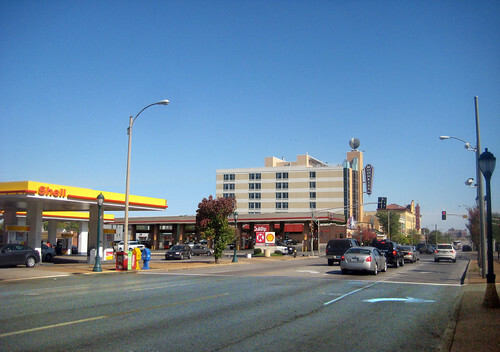 What would it look like if the South Grand CID sold out to QuickTrip? 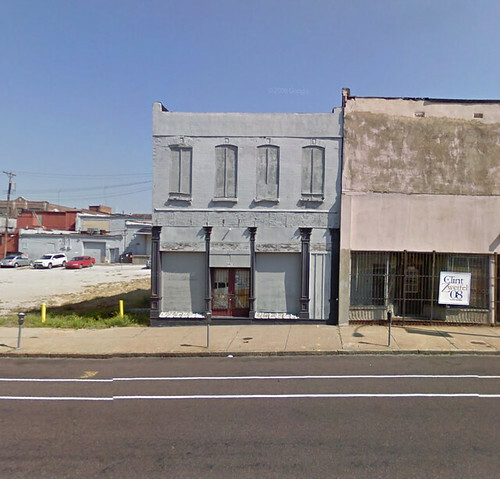 Imagine the beautiful 2-story building facing Tower Grove Park at the north end of South Grand as a QuckTrip! Pretty awful, right? 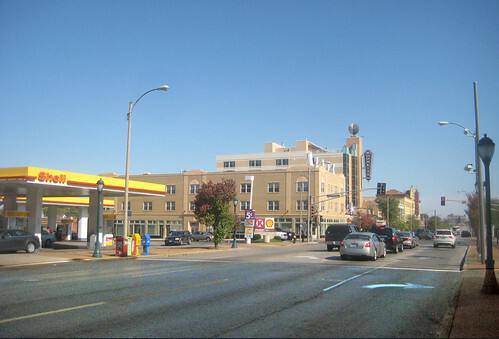 What if the Loop Special Business District sold Out to QuickTrip? 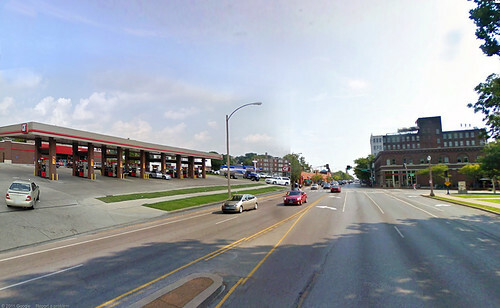 Imagine the recently renovated 3-story mixed use building at Skinker & Delmar as a QuckTrip, because, hey you can never have too many gas stations, right? Both of these are are somewhat extreme scenarios and both would have very little chance of occurring because both South Grand and the Loop have historic districts and maybe more importantly, strong neighborhood associations in the area. This however did not stop a new surface parking lot from replacing a non-historic building in the Loop this year. So what can we do about this? Well, not much until we change the System. 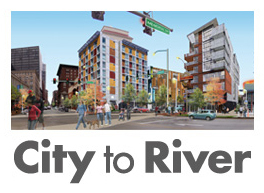 We can start by talking to our respective Aldermen and demanding a comprehensive overhaul of the City zoning code. Demand that these kinds of decisions be made by planners, not Aldermen, most of whom have no qualifications whatsoever to be making these types of planning and development decisions. One thing that could be done now is to make QuickTrip re-use the existing building that currently houses Spaghetteria Mamma Mia and Bellon Wrecking. The building is in a Preservation Review District, which means that unless Roddy has conspired some kind of loop hole, the building should go before the Preservation Board in order to be demolished. 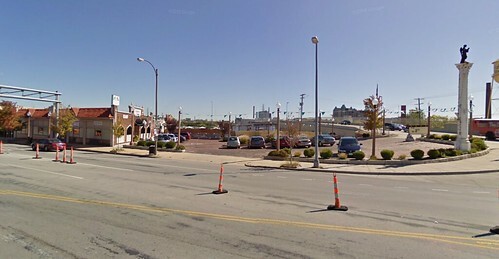 The photo below shows that the open lot at the corner and the depth of the parcel would allow QuickTrip to install their pumps and canopy while keeping and possible using the existing building. 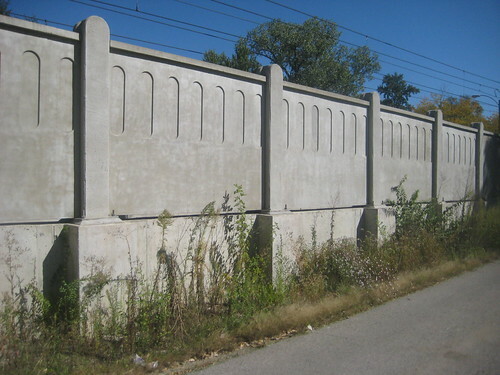 Yesterdays post focusing on the old concrete wall that bordered the Forest Park Parkway. 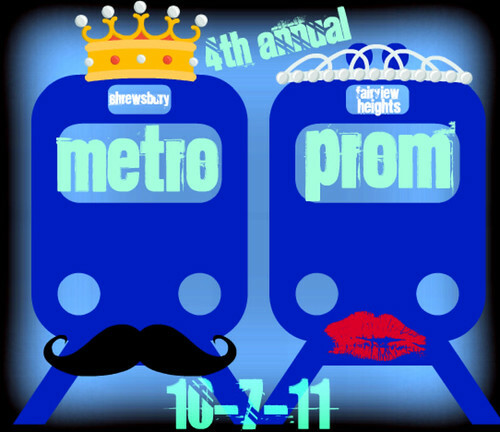 Today I want to promote the 4th Annual Metrolink Prom that will be happening this Friday evening. The event will be a celebration of the Metrolink Blue Line, which opened five years ago (the anniversary was in August). Just like it sounds – a full-blown, high school-style PROM aboard your favorite transit system. Dress in your finest attire—try to wear something blue—and meet us at the MetroLink Forest Park/DeBaliviere Station on Friday, October 7, 2011 at 7 p.m. We’ll direct you from there. 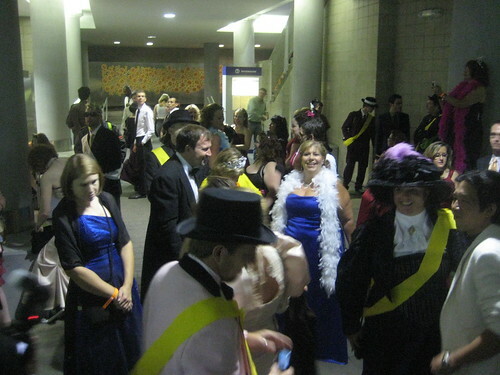 When we arrive at Shrewsbury Station, we’ll award the night’s finest dressed (blue-themed formalwear or costumes) with the title of Prom King and Prom Queen before riding back to the Skinker Station. 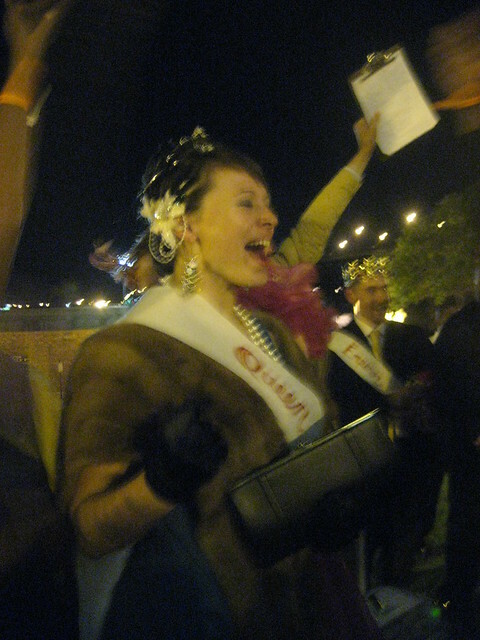 The newly anointed Prom Court will then lead us in our promenade from the Skinker Station to the Moonrise Hotel’s rooftop bar for our Blue Moon Ball – a night of drinking and dancing with an unparalleled bird’s eye view of the city and its duo of MetroLink lines. No, you don't need to get a date! Go stag or with a group of friends... it does not matter how you arrive, but you are guaranteed to have a blast! Please RSVP on the events Facebook page and more info is available on the Tumblr site. 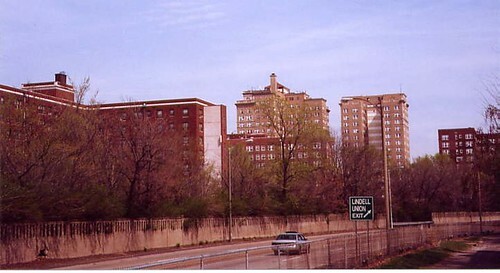 Central Corridians or anyone else who drove the Forest Park Parkway before 2001 might remember the concrete wall that bordered the south side of the Parkway from Skinker to just west of DeBaliviere and the north side of the Parkway from DeBaliviere to Union. To many the wall was known as the "World's Fair Wall" due to its location along what was once the northern boundary of the 1904 Worlds Fair. Evidence suggests however that this name is incorrect as photographs of the area researched by Landmarks Association have dated its construction to about 1910. 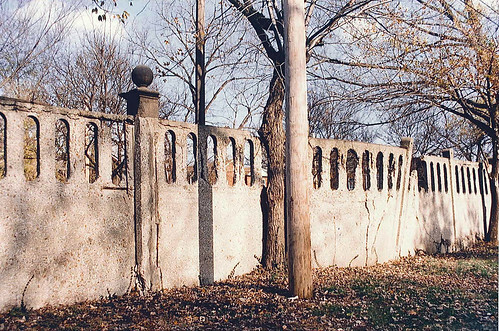 The wall was likely built by the developers of the Catlin Tract, which comprises the large homes located along Lindell Boulevard facing Forest Park. The wall separated the deep lots of the homes from a railroad that once ran in the Parkway right-of-way. 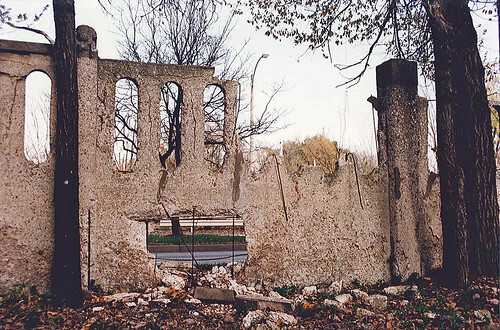 By the later part of the 20th century, the portion of the wall between Skinker and DeBaliviere was crumbling. 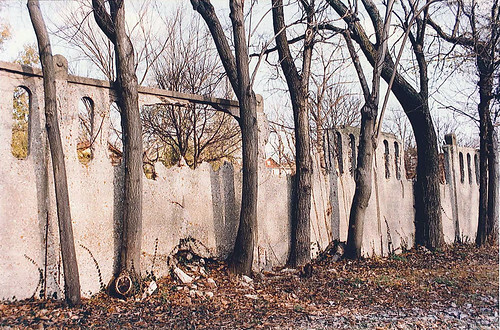 The many weed trees that grew along the the wall were one of the culprits of the decay as trunks and roots pushed against the wall and branches grew through the openings. 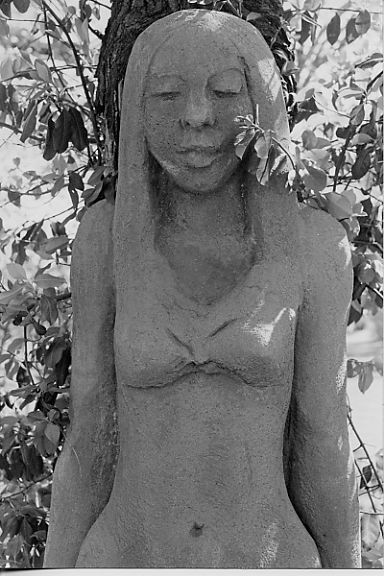 Bob Cassily however saw potential for beauty in the decaying wall and 1998 he created this amazing sculpture by hand forming new concrete around the existing wall. Bob had asked permission of a Lindell home owner who agreed to let him do the work. Some of the trustees of the street were apparently not happy with this, however they did not seem to be coming forward with any other plan to deal with the walls condition. Photo by Carrie Zukoski. 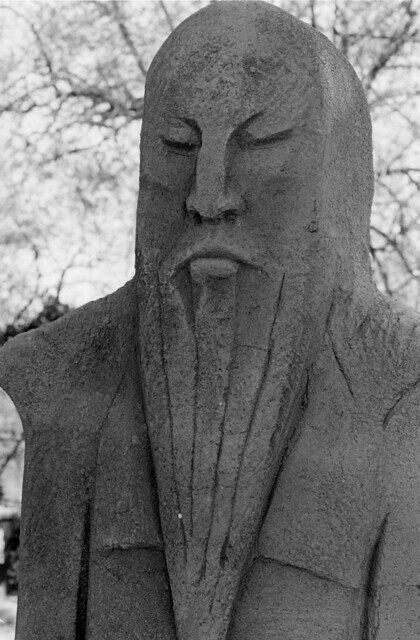 Close-ups of the figures that Cassilly formed around remaining wall elements. Photos by Carrie Zukoski. 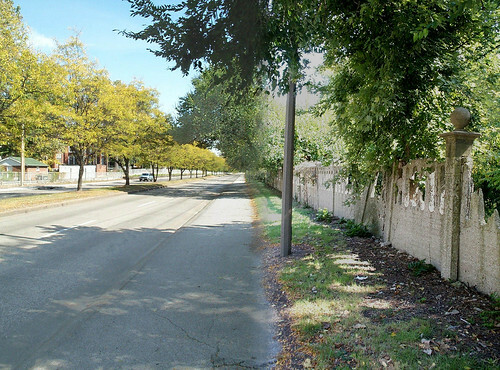 The fat of the portion of the old concrete wall between Skinker and DeBaliviere was sealed with the routing of the Metrolink Blue Line along the south side of Parkway, and the wall was removed for construction of the extension. 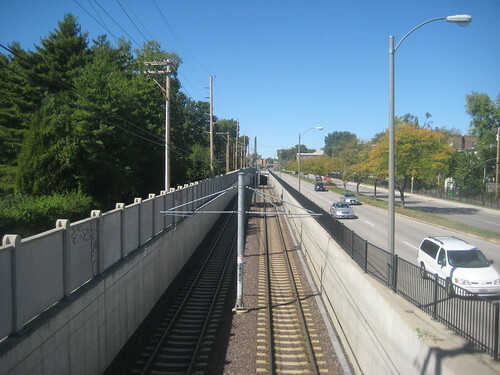 As part of the Metrolink construction, a new pre-cast concrete wall was built along the south side of the right-of-way. 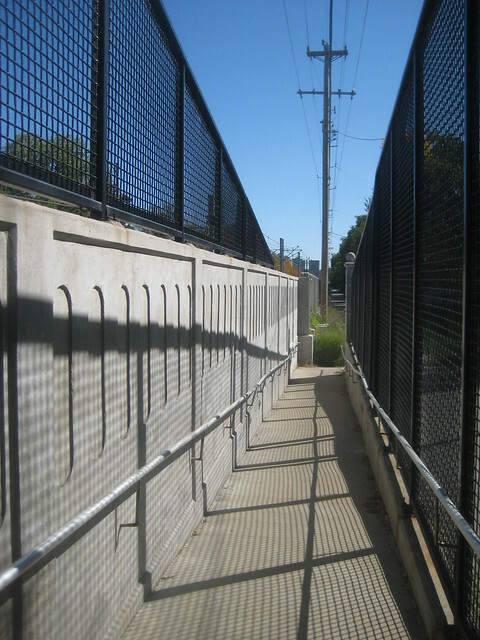 Part of the new wall was incorporated into a pedestrian crossing over the tracks at Des Peres Avenue. The new wall bears some resemblance to the old wall, however there are not openings in the wall, only indentations. 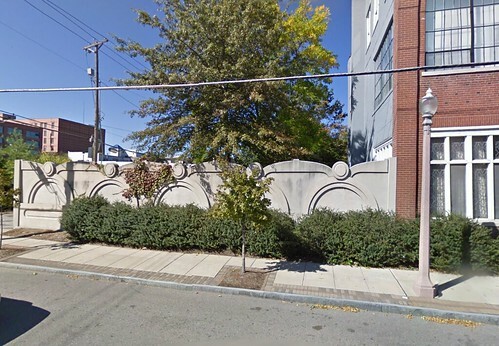 The recessed design only shows up on the south side of the wall facing the Lindell homes. 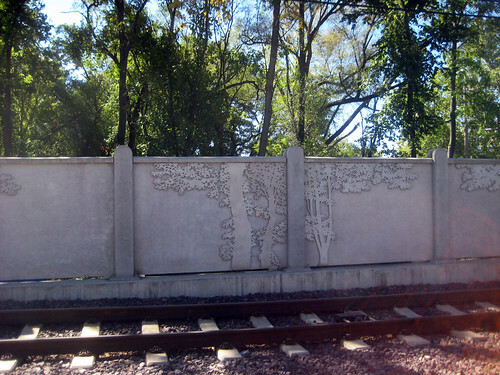 As part of the Arts in Transit program, neighborhood artist Andy Cross was commissioned to design decorative metal screens on the north side of the wall that faces Metrolink and the Parkway. Unfortunately there is not much contrast between the metal screens and the wall, so they do not show up well. The portion of the wall between DeBaliviere and Union was in much better shape than western half of the wall. 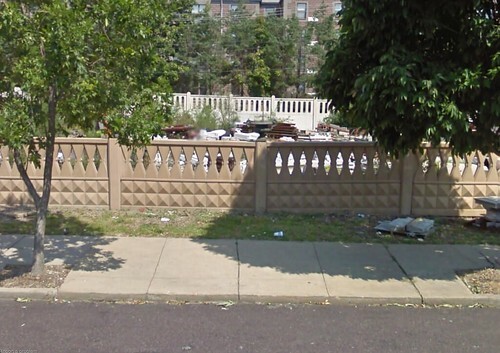 Unfortunately this wall was removed as part of a separate City project to re-build the Forest Park Parkway from DeBaliviere to Kingshighway. The removal of the wall allowed for a larger shoulder along the new roadway. A new wall similar the the one installed along Metrolink was put up along the south side, but in this case, the indented based on the old wall faces the Parkway. Photo above courtesy of STL Style. When the old wall was taken down, artist Bill Christman salvaged a few pieces that he has incorporate into the garden adjacent to Joe's Cafe. 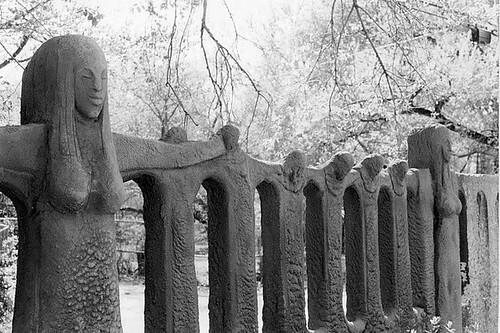 Beside the sculpture that he did along on the old wall itself, Bob Cassilly was obviously inspired by the wall and its construction. 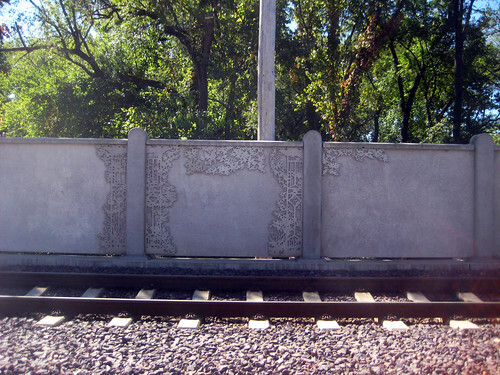 Bob designed and fabricated several styles of pre-cast concrete walls that have been installed in various locations around the City. Above is an installation that surrounds the yard of an architectural salvage business located on Lafayette just west of Jefferson. The wall at the rear is a replica of the Parkway wall and in front is a variation with a diamond pattern. A Post Dispatch photo from 1984 shows Bob standing with one of his walls. Another of Bob's walls can be seen along Sarah Street behind the Dorris Loft building. 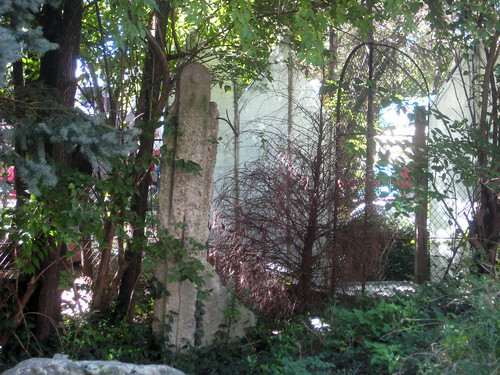 The wall surrounds the building's common courtyard space. Bob had an amazing way of enlivening our built environment with everything he created. He will be sorely missed.